With the SXSW Accelerator wrapping up this weekend and applications for Y Combinator's Summer 2016 funding cycle due next week, the season of startup pitch competitions and demo days is well under way. Here in the Mid-Atlantic, MAVA is set to announce its slate of TechBuzz startups for its April 6th pitch competition and Mach37's cyber accelerator Spring 2016 Cohort kicks off this week as well. 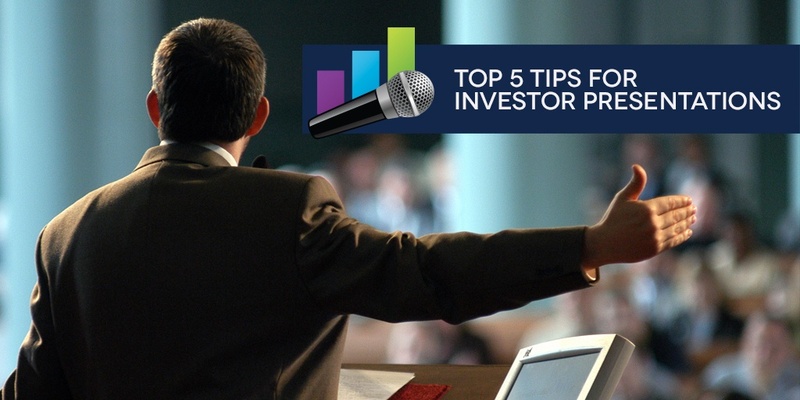 So what does it take to deliver an effective investor pitch? According to Reid Hoffman at Greylock, "In a single year, the classic general partner in a venture firm is exposed to around 5,000 pitches; decides to look more closely at 600 to 800 of them; and ends up doing between 0 and 2 deals." Those odds are never in your favor. So how, out of thousands of startup presentations, hundreds of pitch competitions and dozens of demo days do you increase your probability of success to make your pitch stand out? Investors are not your customers. They don’t want to know every detail about your technology. They do want to know the size of the market opportunity, the qualifications of your management team and why investing in that team could deliver an exceptional return. If investors don't believe your market is big enough or that your team is not capable of executing, the rest of your presentation doesn't even matter, according to Don Rainey, general partner at Grotech Ventures. Remind yourself of this while customizing your slides and resist the temptation to re-use your latest sales presentation. One of the most common reasons that entrepreneurs fail to connect with investors in the audience is that they are too busy running their company to spend time preparing themselves. Don’t let this happen to you. Block off time on your schedule for you and your management team to pull together the most persuasive stories, graphics and financial figures to build a compelling company narrative. Its often better to get away from PowerPoint and get your ideas on a whiteboard or pen and paper first before getting buried in bullets and sorting slides on your laptop. Executives tend to fill every slide with information “too important” to exclude, often overwhelming their audience in the process. Your slides should reinforce your words, not repeat them. Try using a photo, graphic or chart in place of text where possible. And when you must use bullets, keep them to five or less, no longer than one line and no smaller than 24 pt. font size. Guy Kawasaki says to take the age of the oldest investor in the room and divide it by 2 to get the minimum font size you should use so that your audience can read your slides from the back of the room. You are the presentation, not your PowerPoint slides. Your slides should support you, not replace you. Done right, your presentation slides can set you apart. Done wrong, your slides will distract your audience because the investors will be too busy reading your slides to pay attention to what you have to say. At a minimum, try to at least make sure your slides reflect your brand, not a default PowerPoint template and avoid cheesy clip art and generic photos. You can purchase very affordable professional stock photos from iStock, explore slide layouts for free on SlideShare and watch a handful of TED presentations to see what works and what does not. Nothing kills a presentation faster than reading your bullet points like a teleprompter. Practice your pitch with a remote until you are comfortable delivering the simplest of slides. Keynote speakers commonly rehearse 10 hours for every 1 hour they are speaking, so you can apply the same 10:1 ratio to your pitch as well (so 40-80 minutes at a minimum, if your pitch is 4-8 minutes). Have a colleague record a video of your pitch with a smartphone, so you can hear how fast you’re speaking and see what you’re doing with your hands. And never go over your allotted time limit. If you're going to take time away from building your startup to raise capital, make it worthwhile. Don't assume you can walk into an investor pitch and just wing it. Your presentation is one of your biggest opportunities to attract investor attention, so don't let too much text, lack of preparation and overconfidence leave your presentation in a sea of sameness. Just like a good movie trailer, your pitch should get the audience excited to see the movie, but leave them wanting more. 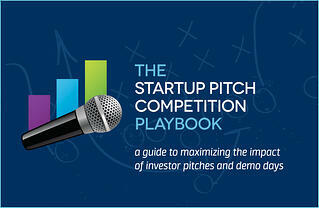 Download the Startup Pitch Competition Playbook for more advice from the trenches on how to maximize the visibility of your startup, tell the right story to potential investors and improve your chances of getting funded.